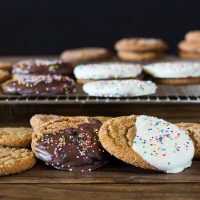 Soft Molasses Cookies are the one cookie that embodies all the warm spices of the holidays; cinnamon, cloves, and ginger. The flavor kind of reminds me of gingerbread men, only it won’t crumble apart when you bite into it. Maybe we should call them a soft gingerbread cookie because that is what it tastes like. If you are only going to bake one cookie this holiday season, you should make it this one. This cookie is soft and chewy. Since it is rolled into sugar prior to baking, it sparkles too. The flavors are strong enough that it holds up well under a light coating of almond bark or chocolate coating. If you really want to dress this one up, add some holiday sprinkles. This recipe can be halved, but since it requires at least an hour in the refrigerator prior to baking, I make the whole batch at once. Yes, it does make a lot of cookies, but if I had to guess, these are made mostly around the holidays and holidays mean sharing right? So go ahead and make them all and spread some holiday cheer. A full batch also means you will have enough cookies to cover some with almond bark, some with chocolate, and leave some plain. Uncoated, these cookies store well in the refrigerator. 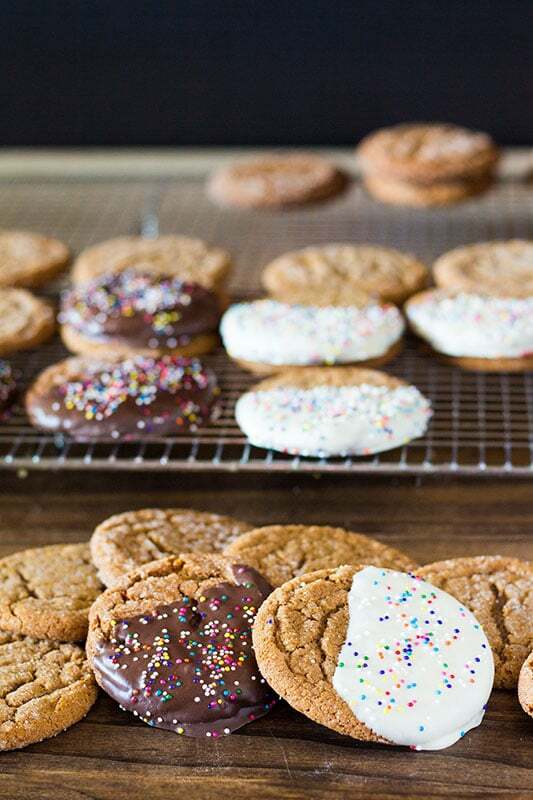 Soft ginger molasses cookies also travel well since they are a soft cookie. Molasses cookies pair well with warm apple cider, hot tea, freshly brewed coffee, and hot chocolate. Whenever I eat these, I feel like I am sitting in front of a cozy fire with snow gently falling outside. Almost like a holiday greeting card scene. If you are old school, like me, I promise the smell of these baking will remind you of simpler holiday times. 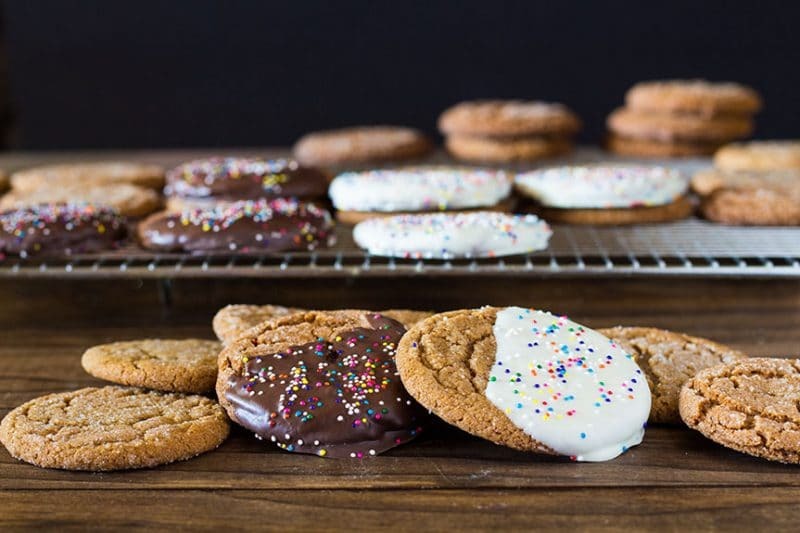 Soft Giner Molasses cookies have all the warm spices of the holidays; cinnamon, cloves, and ginger. In a large bowl, cream butter, shortening, and both sugars until it looks like wet sand. Add eggs and molasses, mix until smooth. In a separate bowl, add flour, baking soda, salt, cinnamon, cloves, and ginger. Whisk until blended. Mix just until flour is no longer visible. Scrape sides and bottom of the bowl, mix in any dough that looks like it has too high of a butter/shortening ratio. Refrigerate dough at least an hour and up to overnight. Place 1/2 cup of white granulated sugar into a small bowl. Roll balls of dough in white sugar. Place rolled dough balls onto a cookie sheet. 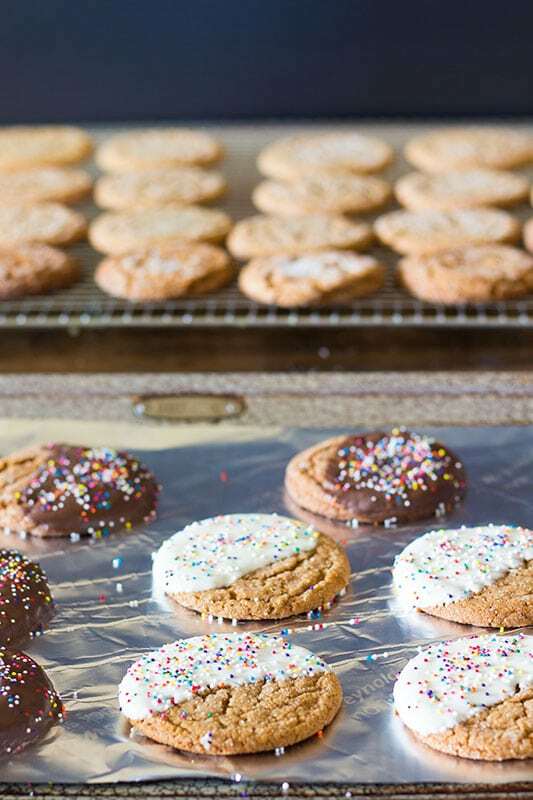 Bake in preheated oven for 9 to 11 minutes, or until the tops of the cookies begin to crack. Remove from oven and allow to cool on cookie sheet for one minute. Remove to a cooling rack, or a countertop covered with foil, parchment paper, or wax paper to finish cooling. Cool completely before attempting to stack cookies or place them in an airtight container.